× Science straight from Scientists! Sign up now to get your own personalized science feed! Science communicator. The university of Edinburgh. In Short: New research shows graphene can filter common salts from water to make it safe to drink. This could lead to affordable desalination technology. Water is an important commodity. With the effects of climate change, sea levels are rising, meaning there is more ocean water. However, the availability of fresh clean drinking water is, by comparison, a limited commodity, making worldwide access to drinking water a growing problem. According to the United Nations, by 2025 14% of the world’s population will struggle with water scarcity. The primary difference between salt water and drinking water is the absence of salt. As a result, many researchers and companies are trying to find ways to remove the salt from salt water. This process, called desalination, is often difficult and requires expensive desalination plants. For some of the places in the world where drinking water is predicted to be a problem in the coming years, desalination plants are not affordable. Researchers at the University of Manchester, led by Dr. Rahul Nair, have invented a graphene-oxide sieve, which they hope will make desalination simple and affordable. Graphene is a thin 2-D material made of up carbon atoms chained together to create a hexagonal pattern similar to a honeycomb structure. Graphene-oxide is a form of graphene which can be produced easier and cheaper than single layer graphene. 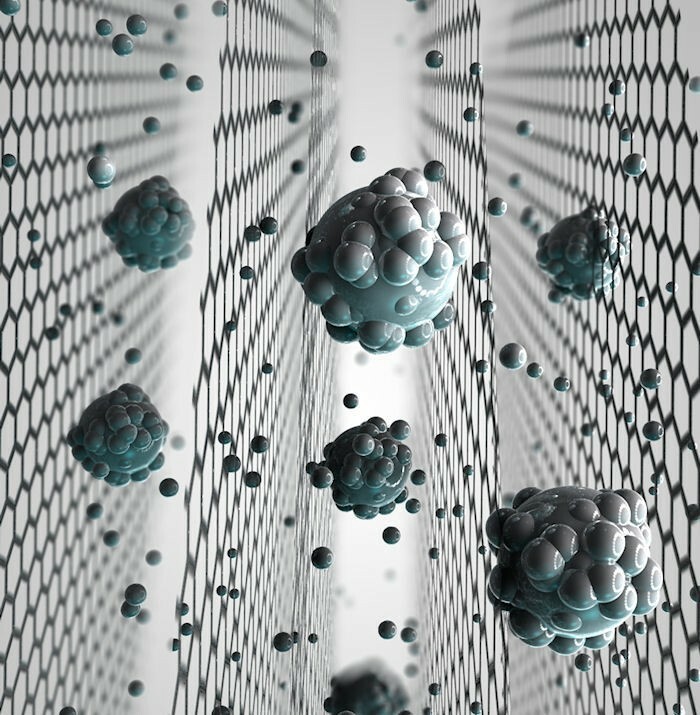 The graphene-oxide sieve created by Dr. Nair and his research team acts as filter with tiny nanometre wide holes drilled into the sieve. The filter retains the salt molecules as the water flows through the sieve. This is not the team’s first attempt at a graphene-oxide sieve, which they refer to as a membrane. Previous attempts were inefficient as the sieve would swell when water was run through it. This caused the holes to expand allowing the salt to flow out with the water. To solve the problem of the swollen holes, the researchers applied a substance called epoxy resin, which is found in some glues, to the front and back of the sieve. When water flowed through the epoxy resin covered sieve, the holes remained the same size. The sieve is still in its early stages and only being tested in a research laboratory setting. Having already passed the test of filtering out salts, the team’s next step is to compare the sieve to current desalination methods. However, according to Ram Devanathan of the Pacific Northwest National Laboratory in the US, the sieve would require even more testing, including durability testing to excess sea water exposure, before being used in an industrial setting. The potential applications of this sieve extend beyond just salt filtration. The researchers hope the sieve will act as a model for future graphene-oxide sieves with holes of different sizes to filter molecules larger or smaller than salt. I am not a scientist but this is great work that would help the humanity. I live in Hargeisa Somaliland and we experiencing water shortage. In fact yesterday and the day before I was helping a relative who brought a water detecting devise from UAE . This entry was posted in Tech & Engineering. Bookmark the permalink. Researchers develop smart wearable tech that allows an early detection of awkward postures that can lead to work-related musculoskeletal disorders. Researchers have identified the underlying fluid flow phenomenon that causes flow patterns to deviate from designed and cause unintended particle motions in “microfluidic” particle separators.